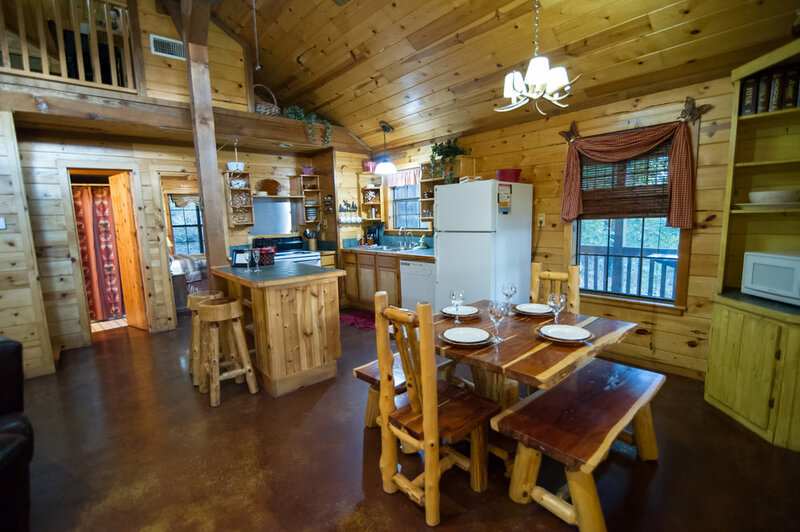 Wild Hare Lodge: 2 bed / 2 bath. Sleeps 8. 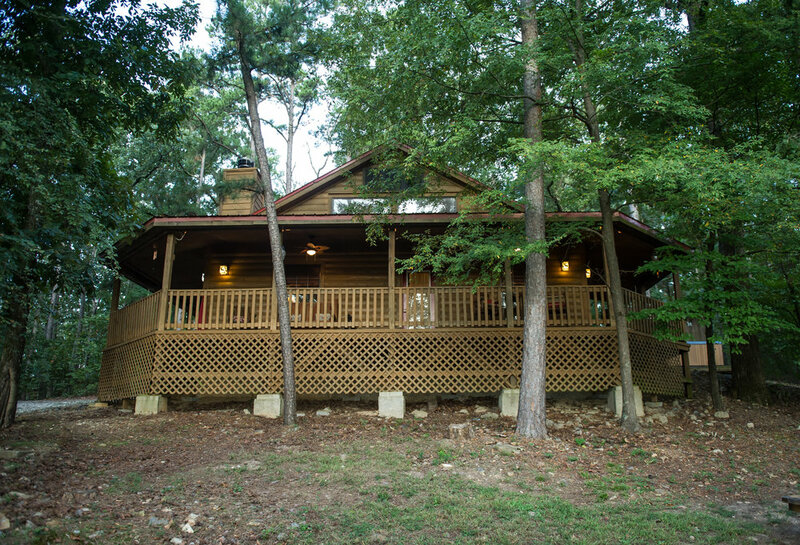 A romantic getaway cabin with lots of options! Bring the kids, bring another couple, or just bring yourselves. 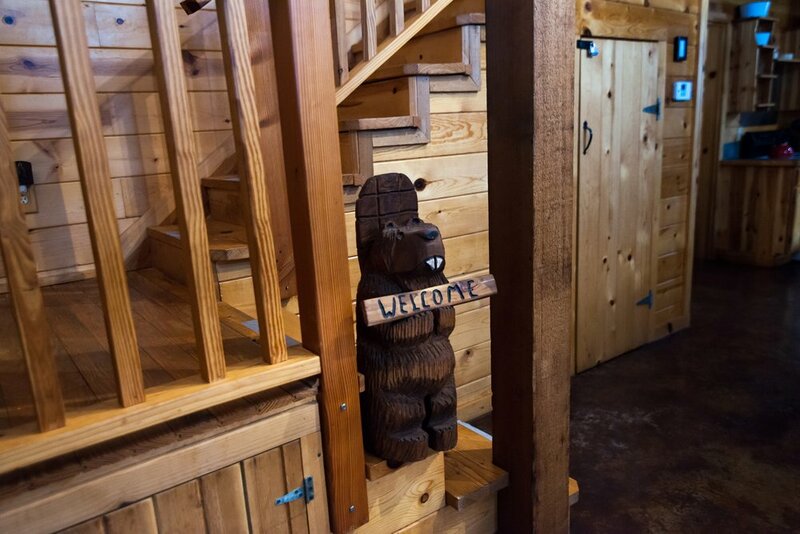 Either Way, you'll be more than happy in Wild Hare Lodge at Beavers' Bend! A convenient location and a comfortable setting helps you make this a trip to remember. The state park entrance is only a couple of miles down the road and all the dining, lake activities, & golfing are within a 5 to 10 minute drive. 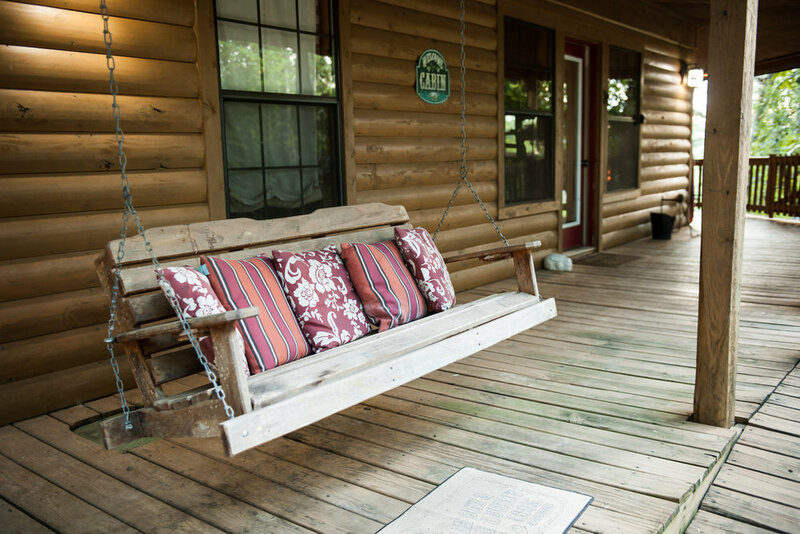 The cabin has a large wrap around covered deck with a porch swing that will start calling your name the minute you unload – and if someone beats you to it, there is plenty of other seating as well as a hammock. The porch has ceiling fans to help you enjoy your evenings even more. Wild Hare sits on a hillside making the porch feel almost like a tree house. 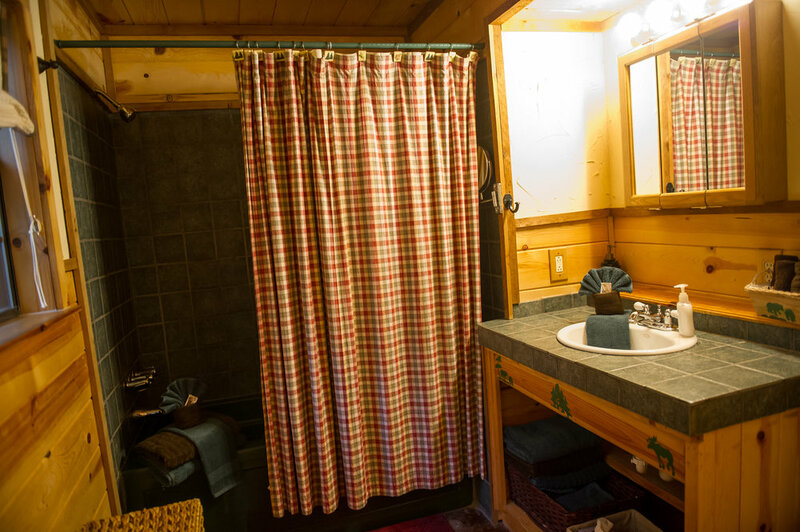 The cabin has a private hot tub where you can finish the day with a long relaxing soak. For those who like hot dogs, s'mores, and hours of storytelling, the fire pit may be the only place to be after dark. 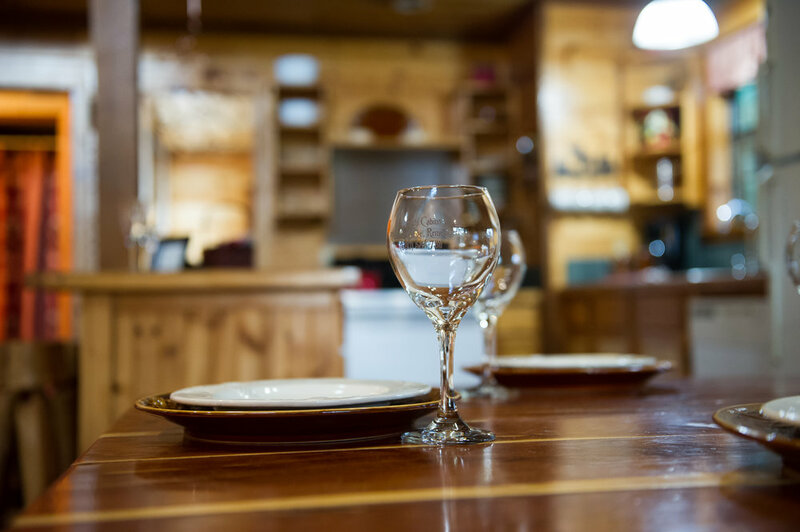 Inside Wild Hare Lodge you will find a kitchen stocked with cooking and dinnerware just waiting for you to add those special ingredients. 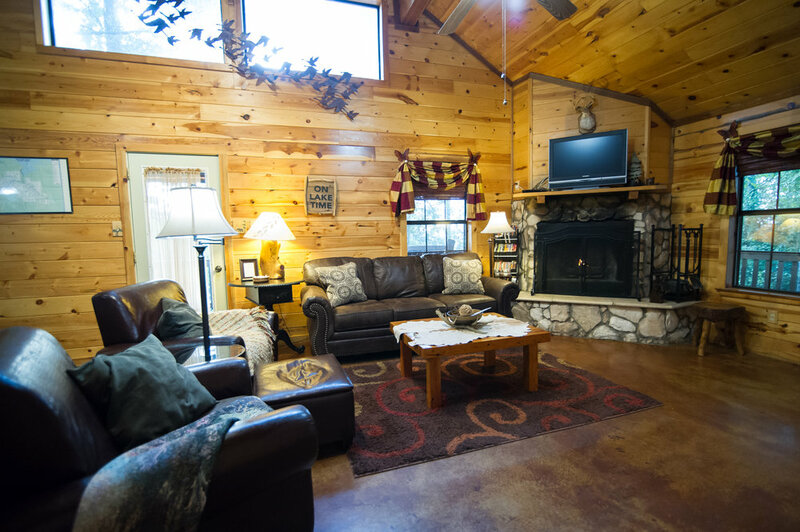 Comfortable furnishings, a wood burning fireplace, and a flat screen TV provides a welcoming place to visit and catch up. For the kids, the loft with a full size bed will be a great escape from all the boring adult conversation. 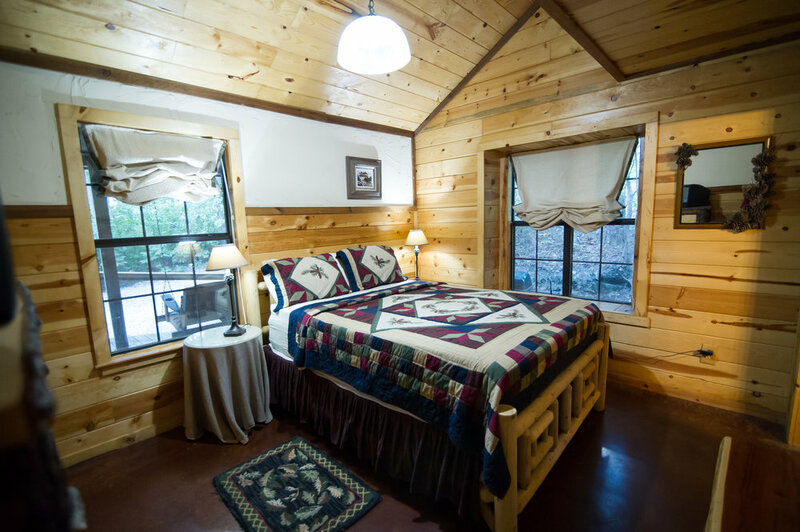 The cabin sleeps up to six on two queen beds and the futon; and two bathrooms – one a master with Jacuzzi tub – means plenty of room for everyone to get ready. 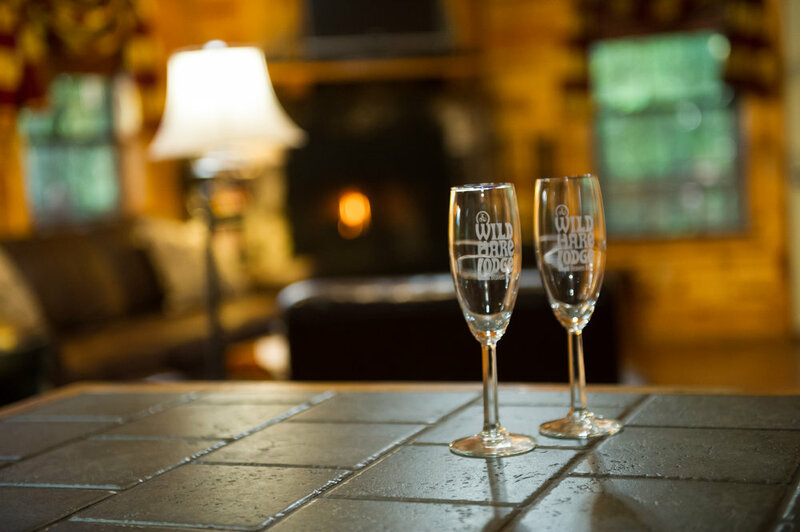 Wild Hare Lodge will let you relax and enjoy a well deserved vacation with so many comforts and conveniences. This cabin does not have a circle drive, it is not ideal for most boat trailers or inexperienced trailer pullers, you may have some trouble accessing the parking area. If you are not comfortable pulling a trailer into this cabin, you are welcome to leave it at our office. Space is limited and it is first come, first served.